This UNIQLO coat is one of my favorites, mostly because it’s lightweight and works perfectly as an everyday option for the mild Texas winters. 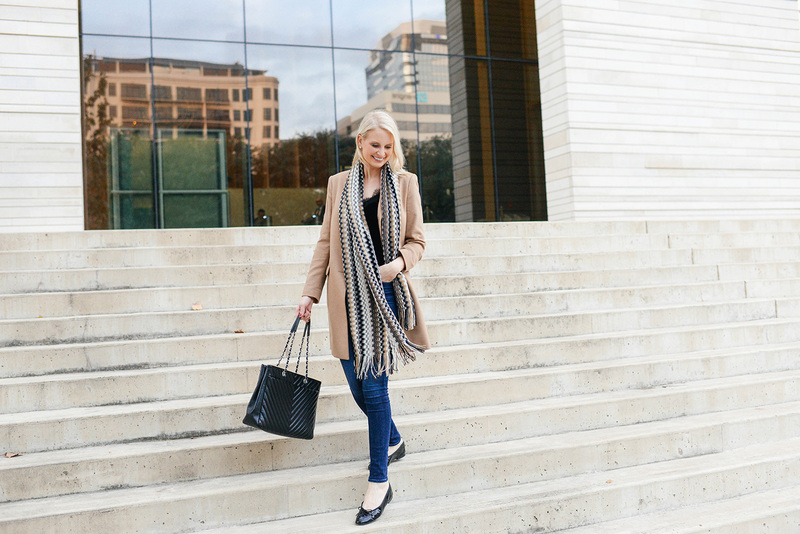 It’s so easy to throw on over all kinds of tops and sweaters, and provides just the level of warmth necessary to get me from A to B. I also love the blazer look to this coat – it’s tailored, features a slimmer fit and offers a more modern touch than the more chunky, oversized coats in my closet. Unfortunately this is a piece I found last year while traveling abroad, but I’ve managed to find several similar styles for you below at various price points! I picked up this simple grey Zara coat before my NYC trip. It’s also a lighter weight, so it probably wasn’t my best choice for that trip… but it’s certainly perfect for Dallas! This classic wool coat from the GAP is on sale for under $170 in four colors! This Fleurette coat looks like such a dream, plus it’s on sale! Still a bit of a splurge, but I bet it’s worth it. Loving the sophisticated styling of this blazer-like topcoat from J.Crew. Comes in three gorgeous colors! This Zara coat looks almost identical to the grey one I picked up, but in black! Such a great basic. This “college” coat is on sale for under $170! Love it in camel and navy. Throw in a jewel tone with this wool coat from And Other Stories! This tailored coat is now on sale for under $200 – so chic and effortless. PS – I hope you don’t mind I’m taking this week off of my newsletter exclusives… as I mentioned yesterday, I’m trying to take a bit of a break this week and really enjoy the end of the holiday season before jumping back in at the start of 2018! Your favorite exclusives like Splurge or Save?, Six Things, and Beck and Call will be back in the new year! Uniqlo always have the best coats! Love it on you!